A calming serum formulated to soothe and help reduce inflammation and discomfort associated with sensitive skin conditions, such as dermatitis, rosacea and acne. 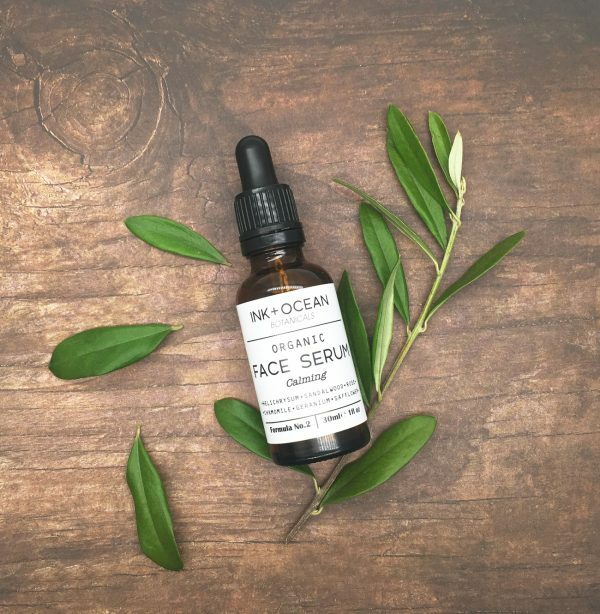 Packed with a blend of rich botanical oils known for their calming, nourishing and antioxidant qualities, this serum will help reduce irritation and make your skin feel smoother, balanced, radiant and deeply nourished. Safflower oil – consists primarily of linoleic acid, an omega-6 that is packed with essential vitamins, preventing dryness and roughness as well as removing debris and oil, making it ideal for skin conditions such as, eczema, psoriasis and acne. 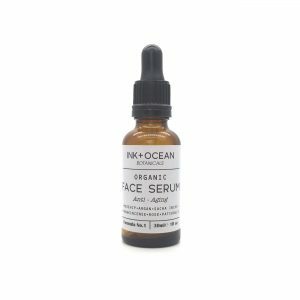 Its hydrating properties give the skin a healthy glow and reduce the appearance of wrinkles. Jojoba Oil – which is very similar to the natural oils of the skin and full of nutrients and antioxidants, and is also anti-inflammatory, therefore highly soothing. It contains vitamins C and E, which help to speed up the rapid regeneration of skin cells for firm and smooth skin. 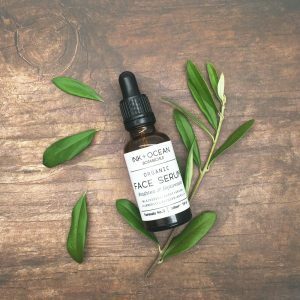 Argan oil – is rich source of vitamin A, vitamin E, essential fatty acids and phytosterols which helps to protect and hydrating the skin as well as fight wrinkles and firm and strengthen the skin. Blackseed oil -is an ancient oil renowned for its remarkable health benefits. The anti-oxidant, anti-inflammatory and nutritive properties of black seed oil can help to restore the natural health and vitality of skin and helps alleviate skin conditions such as psoriasis, eczema and acne. 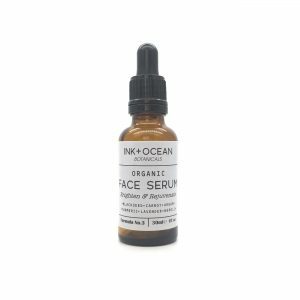 Vitamin E Oil – will help to repair skin damage as it has cell regeneration properties, which is great for wrinkles, scars, acne and dark spots. Roman chamomile helps to relieve skin irritations due to its anti-inflammatory and antibacterial properties. It is a natural remedy for conditions such as eczema, dermatitis and rosacea. 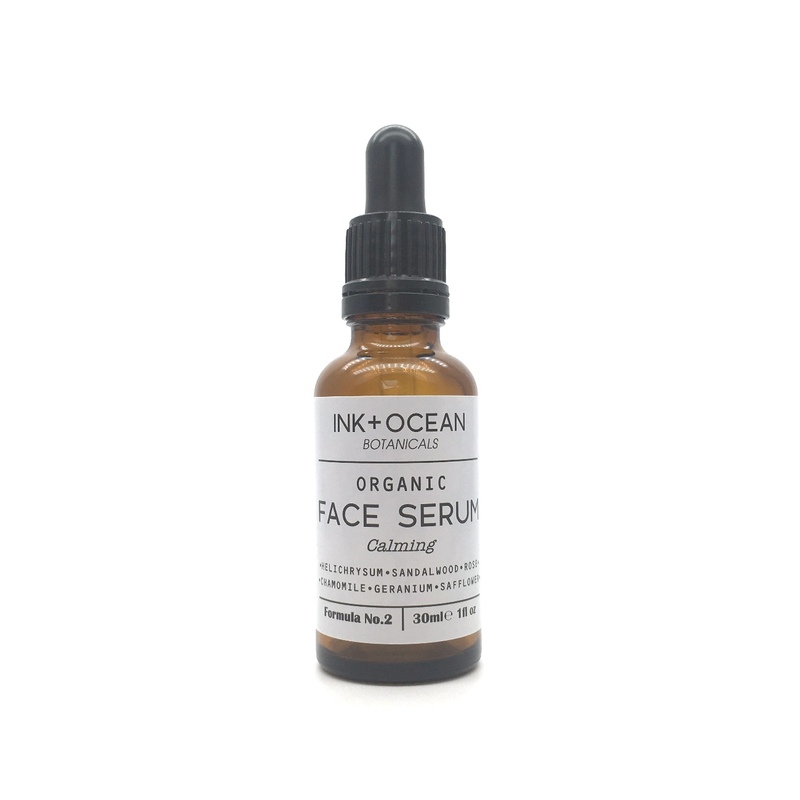 Rose to encourage new cell growth and regenerate tissues, reducing fine lines and wrinkles. Its anti-inflammatory properties will also help to sooth and heal the skin. Helichrysum for its antimicrobial, anti-inflammatory, antioxidant and anti-allergenic properties. Sandalwood for its anti-inflammatory and moisturising properties. Lavender to help to reduce age spots, calm and heal skin conditions, and improves cellular communication within the skin. Juniper for its antibacterial and antimicrobial properties a great natural remedy for fighting skin irritations such like rashes, eczema and acne. Geranium to help speed up the healing process on the skin. 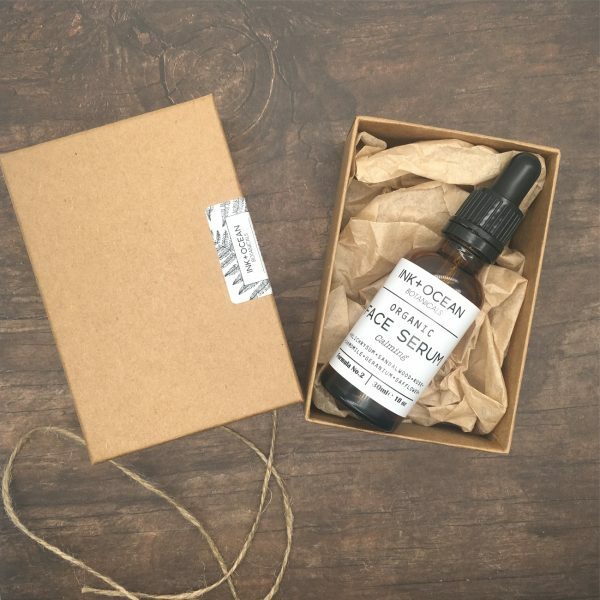 It has cicatrisant properties that increases blood circulation below the surface of the skin, helping to heal acne and other skin irritations. 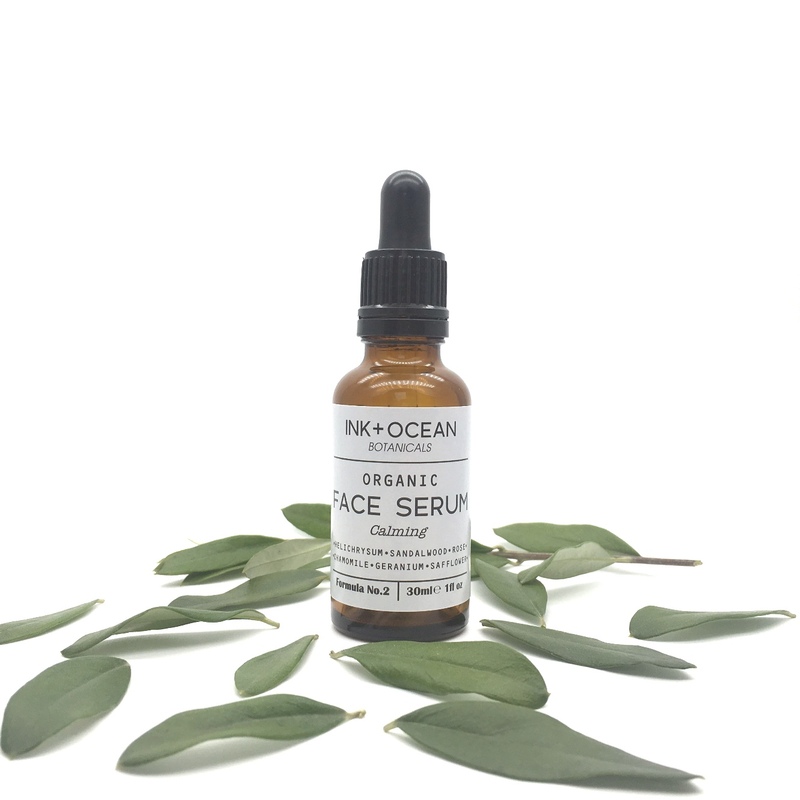 All facial serums are usually made to order by hand, so please allow time for creating. 30ml amber glass dropper bottle with an eco gift box. Apply a few drops in the morning after cleansing and before moisturising and again at night after cleansing. As with any new product, always do a skin test before use. Contains essential oils, please check with your doctor if you are pregnant. Store away from direct sunlight and high temperatures.For external use only. Please carry out a patch test before use. Simmondsia chinensis, Carthamus tinctorius, Nigella sative, Argania spinosa, Chamaemelum nobile, Helichrysum angustifolia, Rosa damascene, Santalum album, Lavandula angustifolia, Pelargonium graveolens, Juniperus communis and d-alpha tocopherol.